Monica Paschal is a 48-year-old farmer and a mother of five. She has been involved in small-scale farming for 27 years and refers to herself as ‘mkulima wa kujikimu’ (Swahili for smallholder/subsistence farmer). 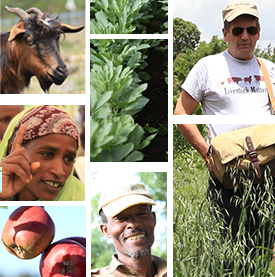 In May this year, the Africa RISING team in Tanzania held several field days with farmers in Kongwa district. Africa RISING early win project: How seed systems can work for small scale farmers in Malawi, Tanzania and Zambia?